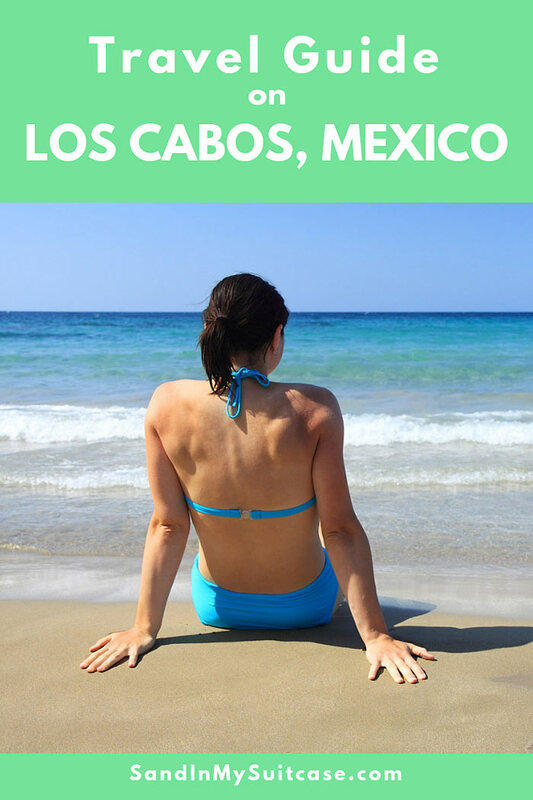 Los Cabos Travel Guide to an Awesome Holiday! What are the hot things to do in Los Cabos? Which are the best airport transfer companies? Where should you stay when you visit Cabo? (Is it even safe to to go?) Fab Italian restaurants? Best snorkeling spots? Is there Uber? We're Janice and George Mucalov, travel writers who've visited Cabo dozens of times - we love Cabo! 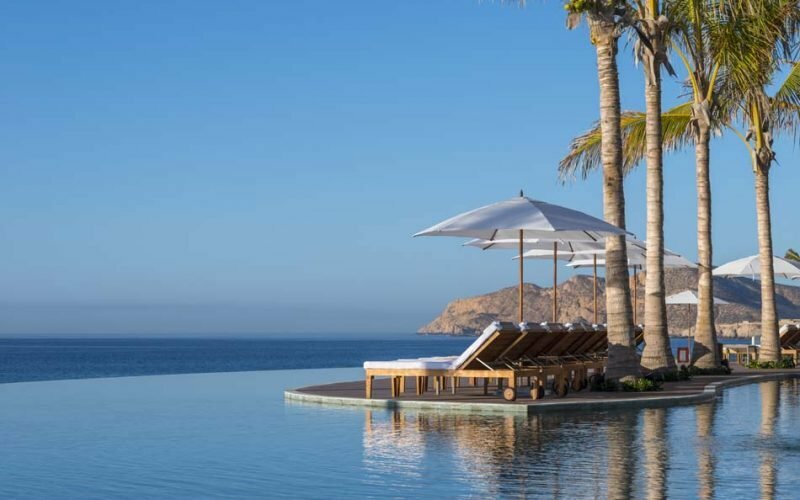 So carry on reading, because our Los Cabos travel guide dishes the inside scoop on how to have a fabulous Cabo holiday. What to do in Los Cabos? Can you drink the water in Cabo? Can you eat salad? Is Los Cabos safe to visit? In winter, pack a sweater or jacket. Evenings can be cool. Check out the best travel sandals for the beach, city and adventure! How to get from the airport to your hotel? Within Cabo San Lucas, there's Uber. Best time to visit Los Cabos? Most people holiday in Los Cabos in winter, starting just before the Christmas holidays through to April. The average temperature is about 68 to 75 F. Days are sunny and dry, and you can expect great Cabo weather. But the best time to travel to Los Cabos is May and June and then again in the fall from October to November. The weather is warmer (better for swimming!) and the crowds have gone. Average temperatures are 24 to 29 F; the air is more humid. Avoid visiting in September, the hottest and stickiest month. The hurricane season in Los Cabos officially runs from June to November, but August and September are the most risky months. Chill on your favorite beach. 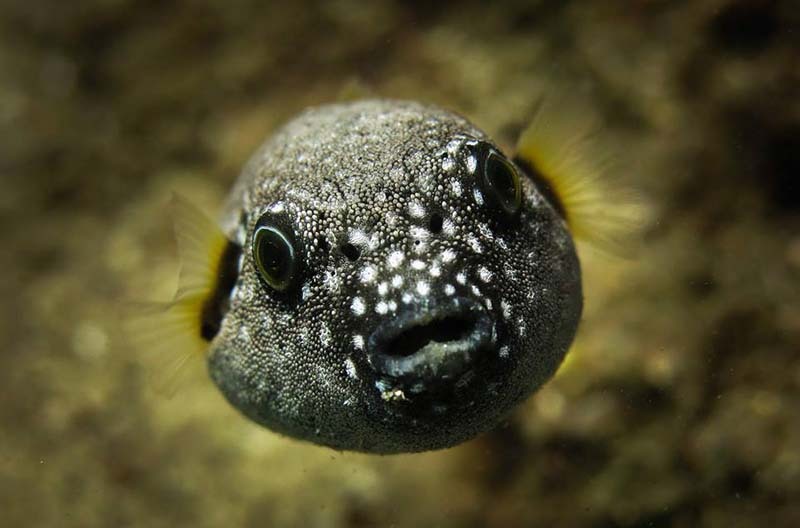 Discover the best things to do in Los Cabos for water lovers! On Thursday nights, check out the free Art Walk in San Jose del Cabo. It’s loads of fun! Meet the artists over a glass of wine handed out at many of the art galleries. And check out eye-catching paintings and sculptures. If you can only golf once on your Cabo holiday, the Cabo del Sol Ocean Golf Course is the course to play. Designed by Jack Nicklaus, the renowned championship course hugs the Sea of Cortez. The views are so breathtaking, it’s hard to concentrate on your shot – except if you don’t, you’re in the sand or a rocky ravine. The Golden Bear himself praised the layout for having the “three finest finishing holes in all of golf.” The signature 17th hole – one of the greatest par-3’s in the world – has you teeing off over the water to a postage-stamp size green on a granite rock outcropping. Swim with whale sharks in La Paz! It’s OMG awesome! Can you drink the water in Cabo? The southern Baja Peninsula has never really had a problem with its water quality. Most of the fresh water comes from the tall Sierra de la Laguna mountains, drains into underground aquifers, and is then piped to local towns, with little opportunity to become contaminated. That said, most hotels and resorts have their own water purification systems. It’s probably ok to drink the tap water, but to be safe, drink bottled water. The good hotels provide bottled water. If you’re staying at a condo-style resort with kitchen facilities, you can stock up on bottled water very cheaply at one of the large grocery stores. Restaurants will serve you bottled water if you ask for water. Ice is typically made from filtered water. Can you eat the fruit and veggies? Most visitors eat salads, fruit and uncooked vegetables with no problems. 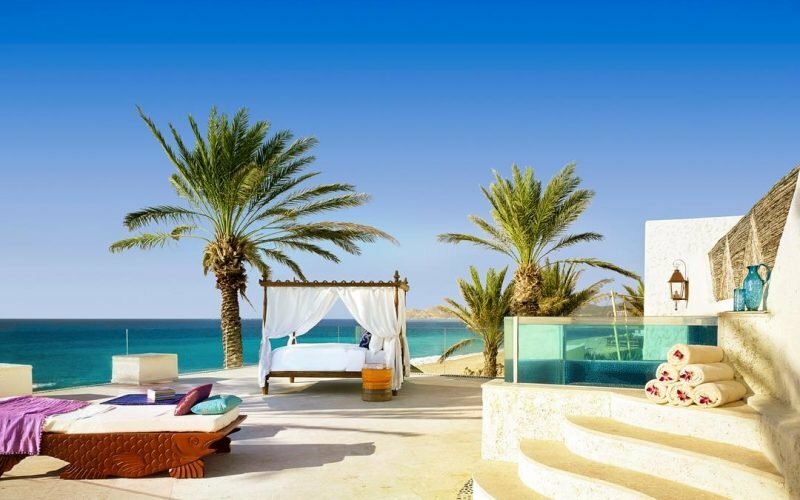 There’s no shortage of luxury hotels in Los Cabos. When booking, know where your resort is located to avoid disappointment, however. Cabo San Lucas is at one end, San Jose del Cabo is at the other end, and the Corridor is a 20-mile stretch connecting the two towns. So we’re talking about a fairly large geographical area. Most luxury resorts are beachfront, but not all beaches are swimmable. 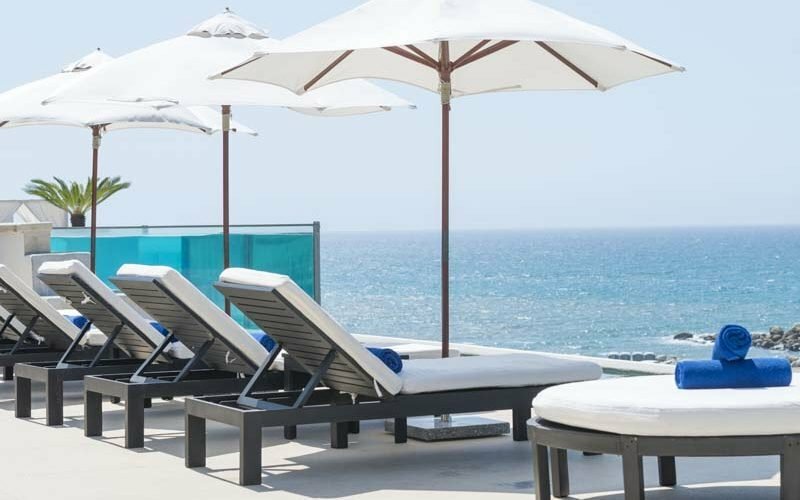 Check out these 11 fabulous hotels in Cabo San Lucas! Pueblo Bonito Resorts – Which One is Best? Can you swim at your hotel's beach? See all our Los Cabos hotel reviews! Nothing in Los Cabos is quite like this super-cool, adults-only hotel. At Hotel El Ganzo, artists and musicians stay to paint and record songs. Is Los Cabos Grand Velas the Best All-Inclusive Resort in Cabo? The Los Cabos Grand Velas has upped the wow factor with $25,000 gold-flaked tacos and $2 million teen parties. For pure luxe, this is the best of the best all-inclusive Cabo resorts! 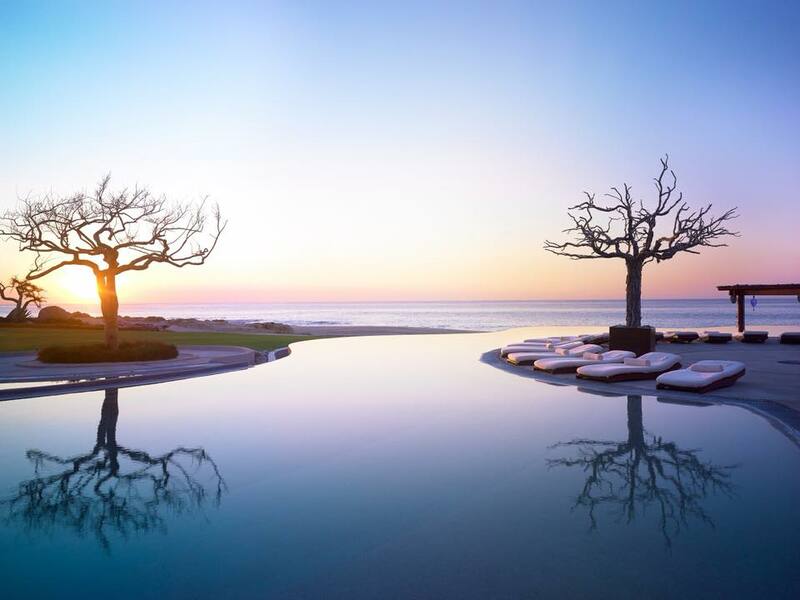 For years, we’ve lusted to know why the One & Only Palmilla is so special that Hollywood royalty flock to it in droves. Now after staying here, we know. Silver, tequila and Mexican crafts – don’t go home without it! Whether you’re looking to pick up inexpensive souvenirs or museum-quality art, Cabo has a shop for you. Silver is big here, from bargain-priced bracelets hawked by beach vendors to unique fine jewelry sold in stores. Cuban cigars are also popular (but don’t take them back to the U.S.), as are Mexican blankets, Talavera pottery and even over-the-counter prescription meds. Many shops are found on Marina Blvd and side-streets. Open-air and outdoor flea markets abound too – be sure to bargain! And of course you can’t miss the Puerto Paraiso or Luxury Avenue shopping malls. As soon as we arrive in Cabo, we like to make a stop at La Comer supermarket in San Jose del Cabo. It's on the highway as you drive from the airport to Cabo San Lucas (and convenient too if you're staying in San Jose del Cabo). Good fresh produce can be hard to find in Cabo – at La Comer, you can usually get crisp red apples (not bruised ones) and lettuce that isn't limp. Don’t be afraid to take the public bus from Cabo to San Jose del Cabo, or anywhere along the Corridor. Buses operate every 20 to 30 minutes between the two towns. They’re fairly modern and clean, and you’ll see many American residents and tourists using them. Some are express buses, but they often let passengers off anyway at non-designated stops. There are bus stops, where you can wait for the bus, with seats and roof protection (the main stop in Cabo is in front of the Puerto Paraiso shopping mall). But the buses also usually stop if you wave one down, and they’ll let you off where you want. Tell the driver your beach or destination along the Corridor when you board. You’ll find plenty of good restaurants in Los Cabos, both in Cabo San Lucas and San Jose del Cabo. Of course, seafood is often on the menu. And don't miss beautiful Flora Farms for made-fresh-from-the-garden cocktails and farm-to-table dining! We’ve holidayed in Los Cabos at least 20 times over the years, and we’ve never felt unsafe. Many Americans and Canadians have time-shares and go on vacation here. Check government travel advisories before going. You can scroll in or out on this map of Los Cabos. See all our Los Cabos posts here! Additional travel tips and information can be found in the travel guide to Los Cabos on the official Visit Los Cabos tourism website.